Kerala Education minister C Raveendranath and health minister K K Shailaja jointly released the rank list prepared by the Commissioner for Entrance Examinations, Kerala, at PRD chamber at the secretariat. The release of KEAM Result 2018 was held at 4 pm 20th June 2018. The direct link to check KEAM 2018 result is given below. Students can check their rank on this website. 4. Take a print out of the result. 90233 candidates appeared for the Kerala engineering entrance examination 2018. 58268 were declared eligible to join further studies claiming seats in various engineering colleges in Kerala. 47974 students have qualified under Pharmacy stream out of the 64795 students opted and appeared for the Pharmacy Entrance Examination. Those candidates who have qualified in the Engineering Entrance Examination will have to submit/verify the marks obtained by them in the qualifying examination (Plus Two or equivalent) for Mathematics, Physics and Chemistry / Computer Science / Biotechnology / Biology in order to prepare the Engineering rank list 2018. The facility for submission/verification of marks online will be made available on the website www.cee.kerala.gov.in in due course. Detailed notification for submission of marks in the qualifying examination will be issued separately. CEE Kerala will conduct Centralised Allotment Process through single window system. Seat allotment for Engineering, Architecture, Medical streams will be on basis of merit and preference. Candidates will submit preferences of college and branch at the time of counselling and through the official website. 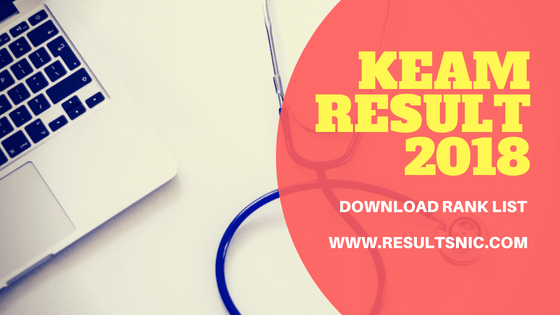 CEE Kerala considers KEAM 2018 Result Rank List for merit. Candidates with roll number in a rank list of KEAM 2018 will submit option in order of preferences for course-college combinations. Thereafter allotment will be on basis of rank and options. One must register options only to such college and courses where they are sure to join on the allotment.